Kildare & Leighlin to produce a definitive set of norms and guidelines on best practice for funeral liturgies by November 2015. Funeral ministry emerged as a top priority in a recent survey of catholics in the diocese of Kildare and Leighlin and carried out by the diocesan commission. A series of meetings within the diocese over the coming months is due to discuss this ministry and produce a definitive set of norms and guidelines around best practice for funeral liturgies by November 2015. 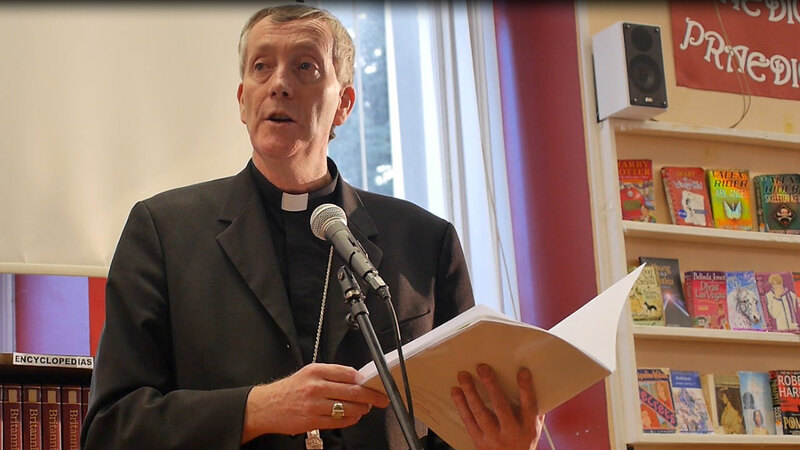 Meanwhile, Bishop Denis Nulty has issued a pastoral letter for this November introducing the topic and beginning what he calls a conversation “around how we celebrate funerals”. “The consolation and support that our faith brings to us at the time of the death of a loved one, through the prayers of the funeral rites and indeed the care of the faith community, helps enormously,” Dr Nulty said in his pastoral letter. “In recent years, parishes have organised special liturgies and Masses around remembering those who have died, at which candles are carried forward, names are read aloud, daffodil bulbs are planted – these celebrations are to be encouraged as they mean so much to those who are left behind to grieve,” the pastoral letter continues. The Bishop explains that to Catholics death is not the end but a “triumphant passing over from this life to our true home in heaven”. He highlights that in a time when regular worshipers are fewer, the numbers who attend funerals are increasing. “The celebration of that funeral liturgy, the impression the priest and parish community made on the bereaved family leave an indelible imprint on that family for years to come,” he states and commends bereavement counselors and Bethany Support groups for their support work. Acknowledging that death is such an important moment in the life of a family, Bishops Nulty has said that is why the ‘conversation’ around funerals has to begin in the diocese. Through it the diocese hopes to offer a definitive set of norms and guidelines around best practice in funeral liturgies. In his letter, Bishop Nulty concludes by thanking everyone in parishes across Kildare and Leighlin for the dignity and way funerals are celebrated. He encourages everyone to engage in the forth-coming diocesan-wide conversation. “He will not come, and still I wait.